The vinyl figures arrive just in time for season two of the Netflix series. Funko’s line of Stranger Things collectibles just got a little bit stranger. Two of your favorite Stranger Things characters are now brandishing their favorite breakfast foods in the most recent iterations of the vinyl figures tied to the Netflix series' second season. That includes an 8-bit version of Eleven holding her all-important Eggos (reminiscent of the recently released mobile game) and Chief Mike Hopper with none other than a donut (would it pair well with his signature IPA?). The line also now features New York Comic Con and San Diego Comic-Con exclusives of Eleven in electrodes and Mr. Clarke. 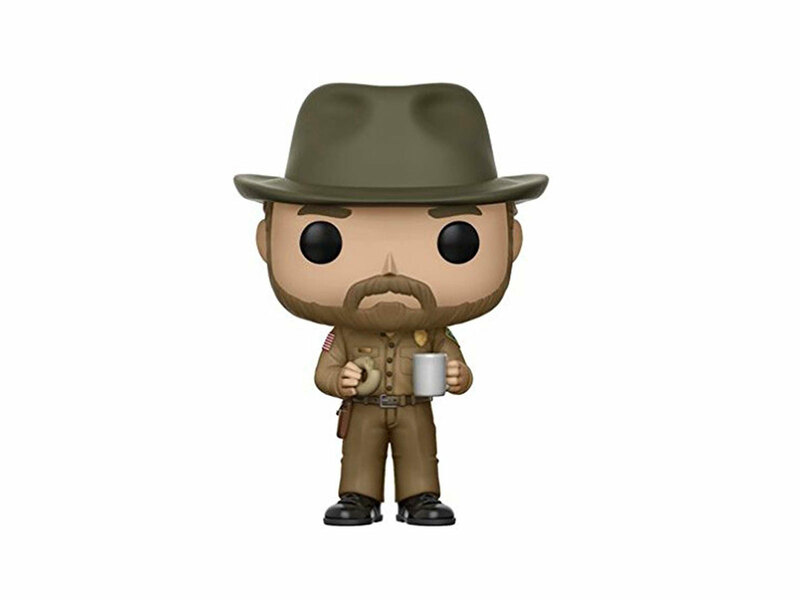 Chief Hopper is available on Amazon for $7, while 8-bit Eleven will be available exclusively at Target stores later this month for $8.99. The American toy and collectible company, originally founded in 1998, has created somewhat of a “craze” among geeky collectors and fans. Known for its big-headed, licensed pop culture figures and bobbleheads, Funko produces renderings from every corner of popular culture you could ever imagine. That includes licenses with companies like Disney, Marvel, and DC Comics that span every topic from sports and pets to television and games. Able to make (and remake or remix) tens of thousands of characters for its stylized vinyl collectibles, in addition to letting you design your very own, Funko has earned its place in collectible history—while continuously expanding its menu of licensed items to subscription boxes, apparel, housewares, accessories, and more. Available in thousands of stores, Funko makes and sells millions of their fun and colorful collectibles online, in stores and at exclusive sales at major comic conventions both across America and around the world. Recent rollouts of their signature (and cute) figures have included classic and popular properties alike, such as the Animaniacs, Disney’s Aladdin, Call of Duty, Monster High, Alien, the NBA, Star Wars, Reptar from Rugrats, and the hit Netflix series Stranger Things. Following the release of the retro show’s first season, the company produced a series of adorable collectible POP! vinyls, the smaller Dorbz figures, and keychains featuring the show’s main and most popular characters. Leading up to season two’s release today, Funko expanded its collection further, and while supplies last you can pick up your own new and older versions featuring tasty twists. To satisfy for your Stranger Things Funko fix, you can also find various vinyls of the Demogorgon, Joyce, Mike, and others with prices ranging from $4.99 to $20 at GameStop and other Funko retail partners.